You'll be £12.99 closer to your next £10.00 credit when you purchase Foul Deeds and Suspicious Deaths in Shrewsbury and around Shropshire. What's this? Criminal cases give us a fascinating, often harrowing insight into crime and the criminal mind, into policing methods and the justice system. They also tell us much about social conditions and attitudes in the past. And such cases make absorbing reading. 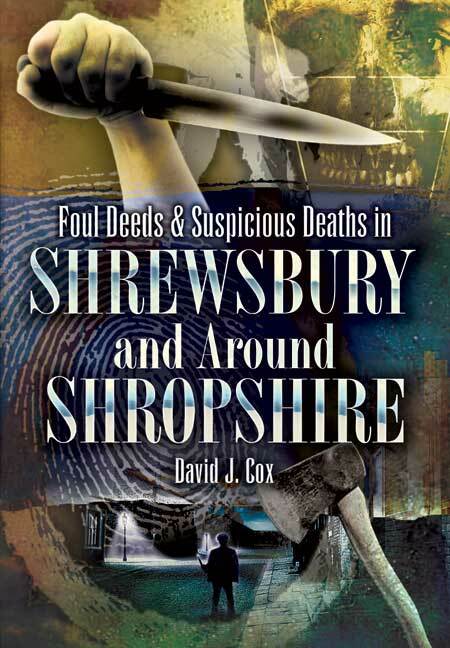 David Cox's graphic account of 16 notorious cases in Shrewsbury and around Shropshire is a particularly strong and revealing study of this kind. Using newspaper reports, census returns and court records, he reconstructs each case in vivid detail. At the same time he looks into the background of the crimes and into the lives of the criminals, and he describes the methods of detection and the punishments that were imposed. The cases he's chosen range in date from the medieval period to the twentieth century. Included are the case of the forger who had his ear nailed to a post, the father who killed his infant son with vitriol, the transportation of a 70-year-old woman, the murder of an inmate in a lunatic asylum, a twentieth-century highway robber and a VC winner involved in bigamy. The personal dramas David Cox explores in this book will be compelling reading for anyone who is interested in the sinister side of human nature and human weakness.